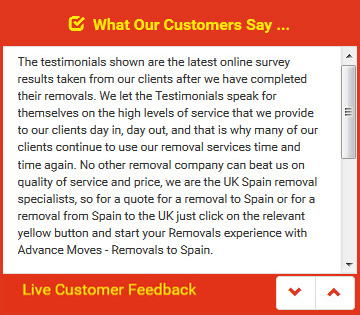 Premier Removals Spain - How Should You Prepare For Your Move? Premier removals Spain is all about finding the best removals company you can for your new Spanish adventure. But it is also about making sure you are readied for the move itself, and everything that leads up to it. So just how can you get yourself prepared for the big day? One fantastic idea for when you are using Spain removals is to ask your estate agent or lettings agent for a floor plan of your Spanish property. This way, you can mark on it exactly which room is which (particularly useful if there is more than one bedroom), so that the removals team know where to put your belongings. Label the boxes with the correct room names, and you should find everything exactly where you want it, which saves you moving it all about later on. You may even want to colour code pieces of furniture to make it an even easier process. Removals to Spain are a great opportunity to throw away anything you no longer need or use, ensuring that you only take with you what is absolutely necessary. If you don�t like the idea of throwing things away, why not donate them to a charity shop or refuge? On moving day itself, it is better if you don�t leave everything in one big pile in the middle of the floor. It makes it hard to the removals team to manoeuvre larger items of furniture. Your freezer will need to have been emptied and defrosted beforehand, so make a meal plan that enables you to use what you have in there, rather than let it go to waste. When you need premier removals Spain, look no further than Advance Moves (http://www.advancemoves.com/). Our exceptional customer service and unparalleled knowledge of international moves makes us stand out for all the right reasons. For queries or quotes, please contact us on 0871 218 0612 or info@advancemoves.com.